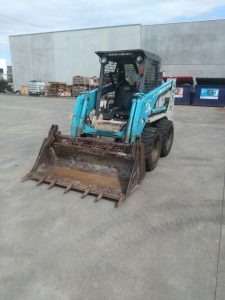 After a more cost-effective alternative to a new Forklift, Skid Steer Loader, Excavator of even Machinery attachments? Or got a budget limit that calls for a no-frills, used forklift? 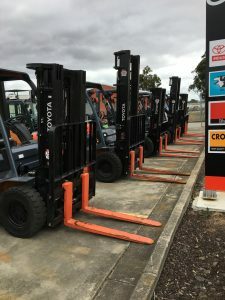 Latrobe Valley Forklifts has a huge range of quality certified used equipment that has been checked, serviced and is ready & available to go to new owners. 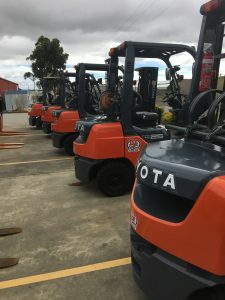 LV Equipment offer a wide range of new and used Toyota Forklifts, and with our factory trained technicians we insure that all our units are ready for work! 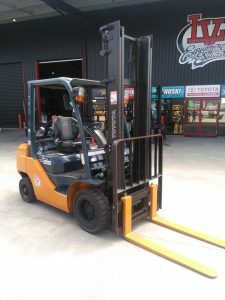 If you have a special requirement or application feel free to call the team on 1800 LV FORKS or CONTACT US and let the team assist you with your requirements.